We’re always looking for ideas to add a little more cash to our pockets. But even if you’re limited by time or skill-set, there are still plenty of ways for you to make some extra moola. Drive Up Your Income – If you’re at least 21 years old with a clean driving record and own a car in good condition with four or more doors, you can become an Uber driver and make great money! The best part about Uber is that it’s up to you how often you drive and how much money you make. 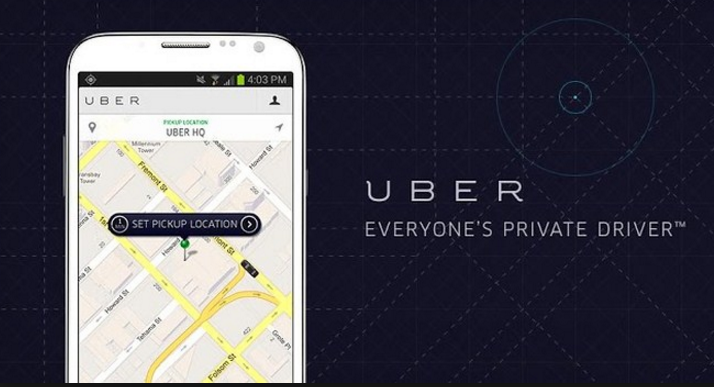 It’s simple to partner with Uber. You’ll need to upload a valid drivers license and they’ll complete a quick background check. Once approved and when you’re ready to start driving, just open the app on your phone, click “GO ONLINE” and wait to receive an alert from someone nearby requesting a ride. You can choose to accept or decline the assignment. It’s just that easy! Even better, sign up through this link and you’ll get $100 when you join and complete a few rides. FREE money, baby!!! If Uber is the “Goliath” in the rideshare world, then Lyft is “David.” It’s a great, well-established company, but not nearly as big as Uber. 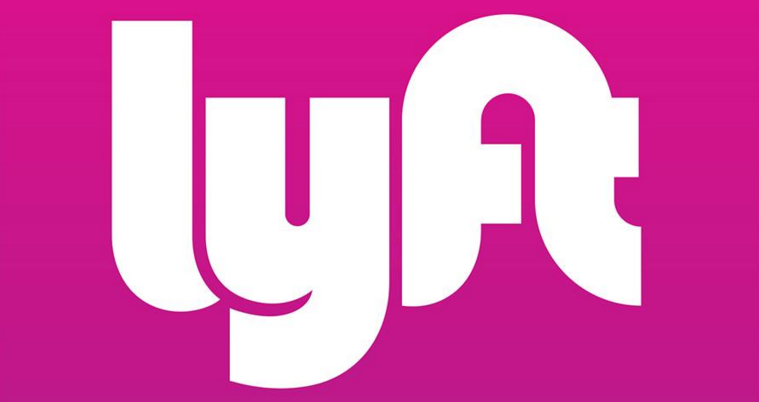 Before you sign up to drive for Lyft, you can try it out for yourself and get $5 off each of your first 10 Lyft rides when you go HERE to sign up. Sell Stuff – You can make good money decluttering your home and selling unused items. 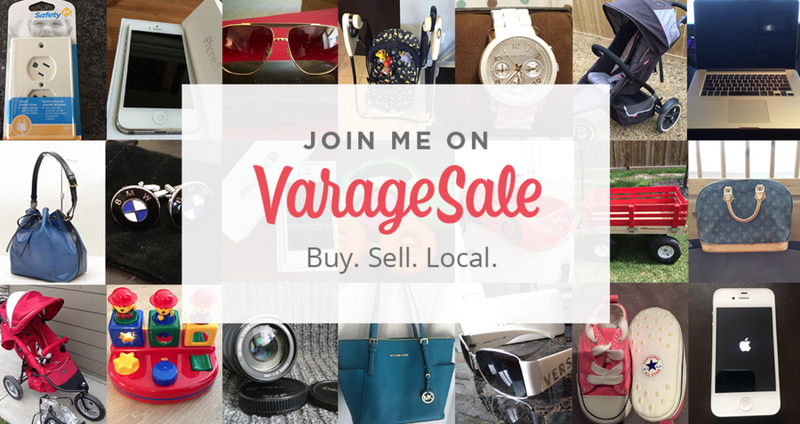 I recently discovered VarageSale, a virtual garage sale app that launched in 2012 by an expectant mom. I like that you sign up through Facebook, which allows VarageSale to know that you are a real person and populate your profile with your real name and photo, to ensure the buying/selling communities remain trusted and friendly. Download the VarageSale app in iTunes or Google Play or visit varagesale.com to get started selling and making money. Also, in the next few weeks, they’ll be adding SIX more hyper-local communities in the D/FW area, so it’ll be even easier to buy and sell among your own neighborhoods. Take Surveys – Evaluate new product ideas and share your opinions with simple online surveys. 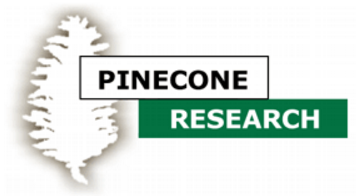 With PineCone Research, you’ll usually earn $3 for each survey that takes about 10 minutes to complete. Sometimes they even send FREE items to sample and try out in exchange for your opinion! PineCone Research is my favorite! I’ve been with them for many years and they’re legitimate. It’s FREE to join, just go HERE and fill out a short questionnaire to see if you qualify. Only one member of a household may qualify. Another good survey site is Consumer Village, where people earn rewards (like Amazon gift cards!) for sharing opinions. Go HERE and complete a 2-minute membership survey to get started. 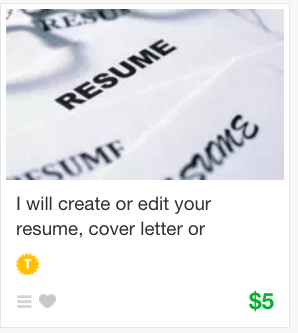 Make Five – Do you have a skill or task you’ll do for just $5? 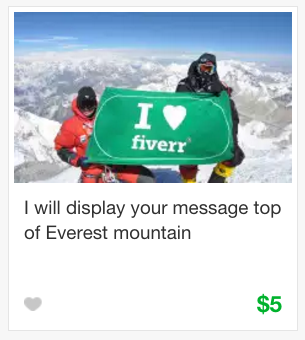 If so, join Fiverr, a global online marketplace offering tasks and services, beginning at a cost of $5 per job performed (yep, that’s where it gets its name). If you want to try it out for yourself go here to sign up, and you’ll get a FREE Gig. 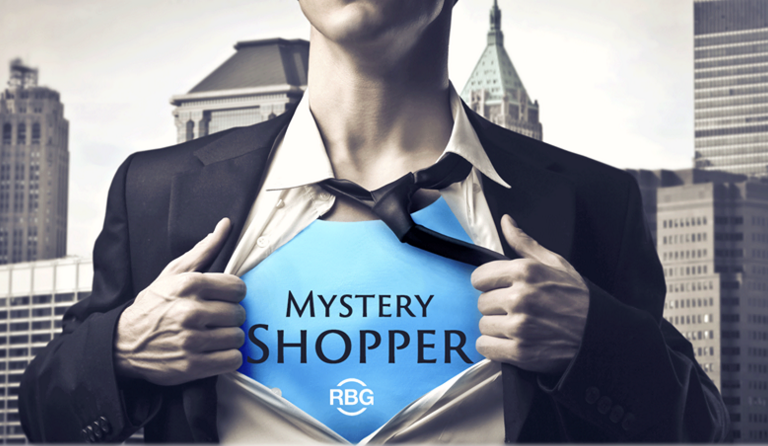 Be a Mystery Shopper – Now, you won’t make a ton of money as a mystery shopper, but you will get paid small fees and get to eat at great restaurants and shop at popular stores! The website I’ve used for years to find all the legitimate mystery shopping companies is Volition.com. (And be forewarned, I’m pretty sure it’s been around since Al Gore invented the internet. Yep, the design and graphics are stuck in 1998). Keep in mind, you should NEVER pay to join a mystery shopping company. All the legit ones pay you. You don’t pay fees to them! Two of my favorite companies are Reality Based Group and Customer Impact. Of course, I can’t mention any of the shops I’ve done (because it’s a MYSTERY, duh), but let’s just say getting $250 in spa and salon services for FREE was one of my all-time favorites. Take Pics – With so many companies needing unique shots for their websites, emails, social media and more, there is huge demand for photos. 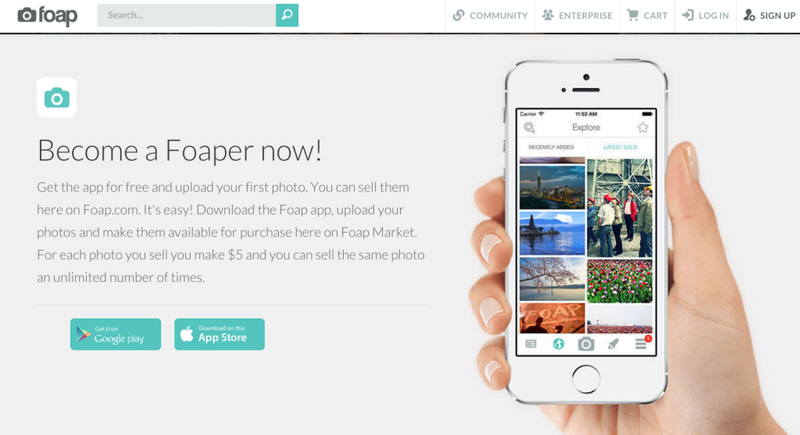 Download the the Foap app, and you can license your personal photos for $5 each. How’s that for easy money!?! Be a Guinea Pig – Try out new products AND make money! Stephens and Associates, a Global Research company, located in Richardson, TX, conducts Clinical Studies every week and you can earn an average of $200-$300 for participating. These studies include skin care, lotion, cosmetics, consumer products, baby products, and more. They are currently seeking males and females, any race, any age group (including babies!) to participate in their paid research studies. 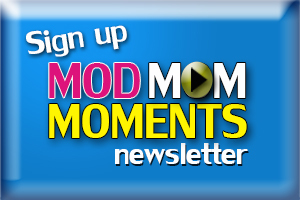 Go HERE to get in their database and see if you qualify. Start a Home-Based Business – These days, there are plenty of opportunities to have a home-based business giving you the flexibility to work as little or as much as you want. But, what’s most important is finding a company and/or product you love and are passionate about. Sure, Tupperware is a great company, but if you don’t live and breath plastic containers that burp, you probably won’t make much money selling them. Listed below are a few businesses my real-life friends are a part of and LOVE to talk about. Wildtree was created in 1996 by a woman who wanted convenient and easy, unprocessed meals her family would love. The premise is simple: Food should be healthy, natural and easy to prepare. Wildtree products are made with the finest natural and organic ingredients, and No GMO’s, MSG’s, Additives, Dyes, Trans Fat, Preservatives, Artificial Flavors, or High Fructose Corn Syrup! ***My friend, Vanessa, is giving away a Crock Pot Freezer Meal Bundle (a $79 value)! It includes eight Wildtree products, along with a complete shopping list and instructions to make 10 large freezer meals in about 2 hours. Eden’s Door is an online boutique of handmade wreaths and personalized items started by a close friend of mine from college who began making these awesome burlap wreaths for friends and family, and now four years later has a thriving online business. 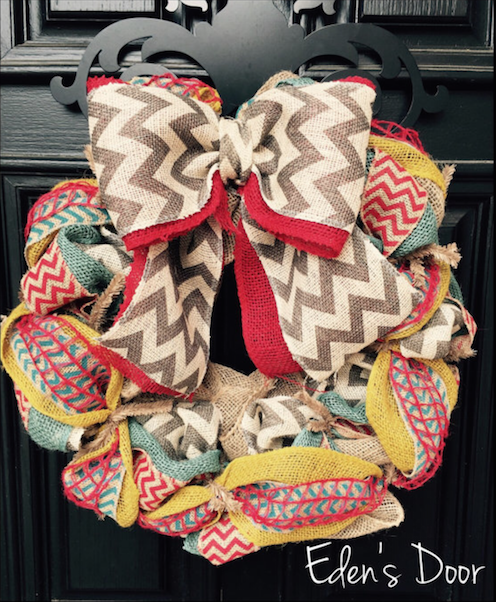 ***WIN the most popular, all-season wreath from Eden’s Door (a $59 value)! Magnabilities is a leader in magnetic, interchangeable jewelry, and during the month of October they have a business starter kit for only $20! It’s the perfect way to start your online business without having to purchase inventory. Custom inserts is what sets Magnabilities apart. Customers can upload family photos, school logos, team name, kids’ names, etc. 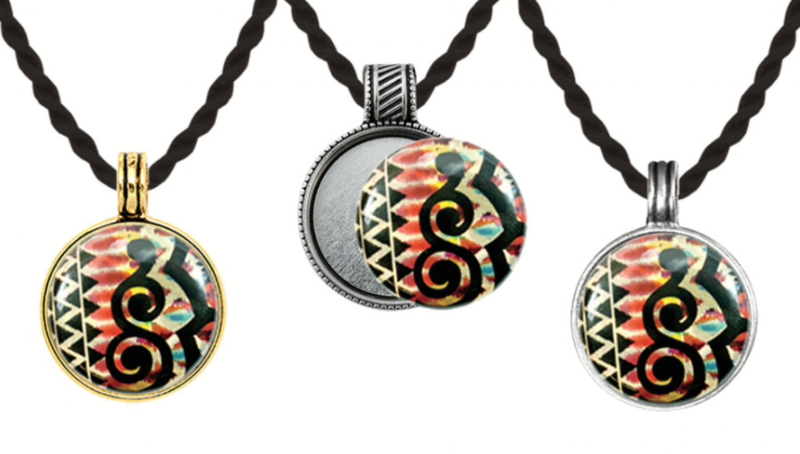 Design your own insert and jewelry sets. They also carry badge holders and Christmas ornaments. ***My friend Paige, is giving away a starter necklace and a clasp bracelet with insert valued (a $50 value)! Younique Cosmetics was founded in September 2012 by a brother and sister duo. Since then, you’ve probably seen your Facebook feed filled with side-by-side comparisons of Younique’s most popular product, Moodstruck 3D Fiber Lashes, which claim to increase your average lash volume by up to 400%. You know what? I’ve tried these 3D Fiber Lashes myself and they really do make your lashes look CRAZY thick! If you want to join the company and start selling, it’s just $99 for the start up kit w/ no contract. ***My friend, Penney, is giving away a 3D Fiber Lash Plus Mascara ($29 value)! 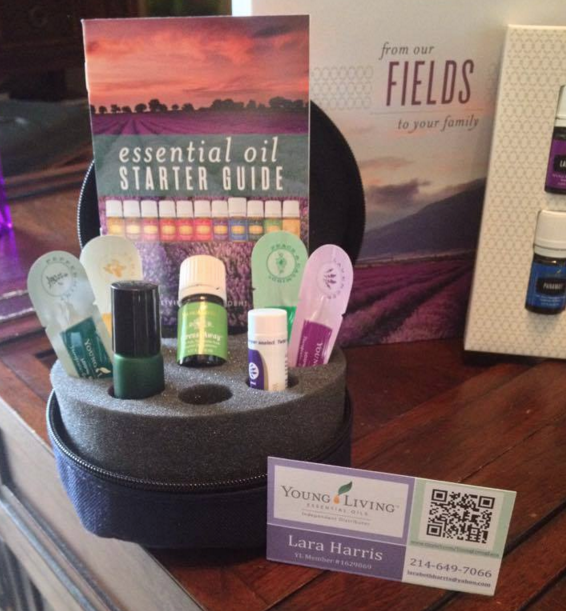 Essential Oils are ALL the rage right now and there’s no bigger company than Young Living. It started small in 1993 when D. Gary Young and Mary Young developed their first organic herb farming and distillation operation. Now, the company has grown to become the world leader in essential oils and wellness solutions. The Premium Starter Kit is $160 (a $300 value) and once you’re a Young Living distributor, you’ll get 24% off retail pricing on all the products. My friend, Lara, joined the company a few years ago and loves the product discounts, plus the ability to sell a product she can get behind whole-heartedly. ***Click below and follow the instructions, to enter to WIN a Young Living Essential Oils Starter Kit (a $45 value) and all the items mentioned above. The total value of this prize package in over $250!!! Previous articleWhole Foods: Small Oatmeal only $0.25 Mornings Thru October 27th! Next articleTarget: Method Cleaning Products as low as $1.44! THANK YOU ……for all the wonderful info above.. I signed up for a few!!! You rock! So glad I tuned into Good Morning Texas this morning. Thanks for giving me the opportunity to make money and improve my household income! I really enjoyed the information you shared. I am going to check some out. I am a friend of Lara also. She got me into Young Living. Thanks for information and chance to win! Yay! I use Ibotta and earn money back for items I already buy. Janice, you are the winner. Please check your email. Just found your website. 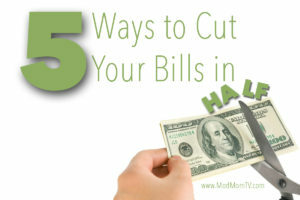 Excited to get started using these money-saving ideas! 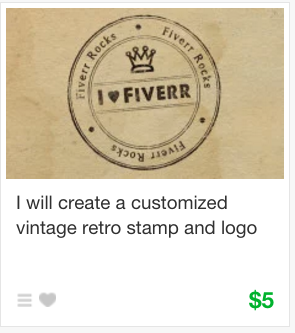 I use Checkout 51 to earn money for products I already buy. What wonderful information.. I’m going to look into several of these. I already use essential oils and love them. Just saw you for the first time on GMTexas today. Looking forward to discovering new sites for great items and gifts! Saw you on GMT this morning a lot of great ideas. I started a budget binder to really track where my money is going. This has helped tremendously. Thank you for sharing your knowledge with us! I’m so glad to know about you now after your segment on Good Morning Texas. After seeing your segment on Good Morning Texas, I signed up to get your newsletter to start saving money and making extra money! eBates is one of my favorite ways to save $$. Log into your account at http://www.ebates.com, link from there to most of your favorite online stores, shop normally (including normal store coupons & sales). Each quarter that you earn at least $15 in rebates, you get a check! 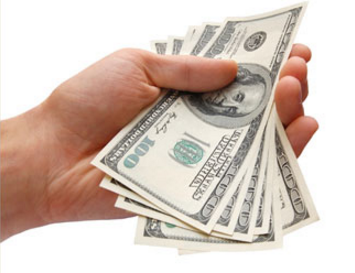 Earned rebates do not expire, but continue to accrue until you meet the minimum. I love saving money using grocery apps like Checkout51, Ibotta, Shrink, and Receipt Hog! Magnabilities is growing! You can still get in on the ground floor, though! Thanks for the opportunity to win! – I like to sell miscellaneous things on FB garage sale sites to make extra money at times! I use Ibotta, SavingStar, and Checkout 51 when I’m making my grocery list, so I don’t miss out on any deals. Thank you so much for sharing all your knowledge on saving. i can’t wait to try some of these, especially the tips about mystery shopping. I really want to try that!! I love to read all the money saving tips that everyone posts. Love the segments on GMT. Keep the saving coming! I use retailmenot when shopping online. I never buy something online without getting a discount or free shipping. I scour the Internet fro coupons before going to the store—but only look for those I am already going to buy. I also use subscribe and save plans for some things to shave off a few dollars. I use ebates for cash back and look for coupons all over the Internet. I check your website and read your emails for weekly savings!! I like to use swagbucks to earn amazon gift cards to save money. We make our own “Kind Bars” they are delicious and about 90% cheaper. They are dried fruit, nuts, honey, and coconut oil, so they last forever. Do a price comparison and find a cheaper grocery store. Meal planning is a great way to save money! You can save money by using Young Living oils because so many of them can be used for DIY cleaners and stress-relievers. My daughter and I have had a lot of fun experimenting. I shop at the Dollar Tree a lot for items!! Wonderful tips and deals! Thank you for promoting YL! We love YL oils and products!! I use apps to help me save money – from Gas Buddy to find the best deals on gas to grocery store apps for extra savings and paperless coupons! I would have to say writing companies to let them know about their good products. They usually send you free product coupons or at least high value coupons! Good info and great giveaway! I use swagbucks to earn a little income. I always meal plan for 2 weeks and make sure that I put everything that I will need on my grocery list. Than I go through all my local ads and price match everything. It really helps so I don’t go to the store multiple times and end up buying things that I don’t need. Thanks for the tips and the prize package looks great! Thanks for keeping us informed on great deals. 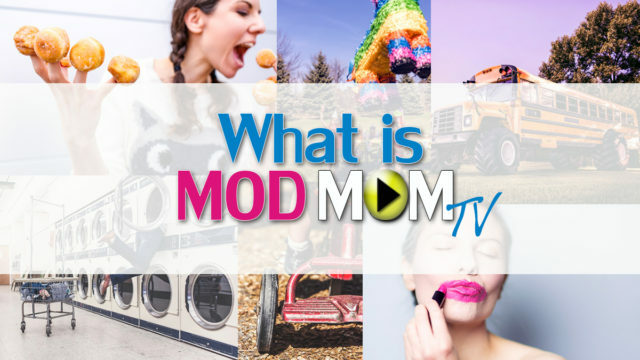 I love that you post about things people, and especially us moms, can really use! We use coupons whenever we shop and buy generic whenever it’s possible. We do Shopkicks and my daughter uses her iphone and has made money doing it especially at Target .